Ups and Downs of the week. Red Sox – Actually winning consistently on the road. I like it. Beckett had another great game tonight and Papi is to be feared by opposing pitchers again. All is well in The Nation. Celebrity Coverage – Do we really care that much? Or does the media just tell us we do? Dad – Coming home again on Thursday. Paving by gravel – I know I complain about it every summer, but this damn gravel is lethal to car paint. My Sister – Trekking up to MA again (third time) to help Mom take care of Dad when he comes home. Glad she’s there to help out. I know my folks really appreciate it. As do I. Look who came by for breakfast. Meanwhile, Mom was sucking up birdseed like a vacuum cleaner. She went through about a pound of seed in minutes. Home again – After being on the road nearly non-stop for three weeks, it’s good to be home. I have no school work and no place to be this weekend. I intend to enjoy my lack of things to do. Greed and self-importance – ‘Nuff said. Dad – Stronger every day. Hopefully he’ll go home again this week. Red Sox – Big Papi seems to have recovered somewhat from his epic slump, but Dice-K is just awful this year. They’ve got some issues to work out. Ragtops – Top-down driving is awesome. My Thursday commute was perfect. Sunny, warm (ok, hot) day, top down, a/c blasting cold air at me, Bob Marley cranking on the stereo, and near empty roads going to and from work. I thoroughly enjoyed the 110 mile round trip. I love my toys. This one is among the coolest. 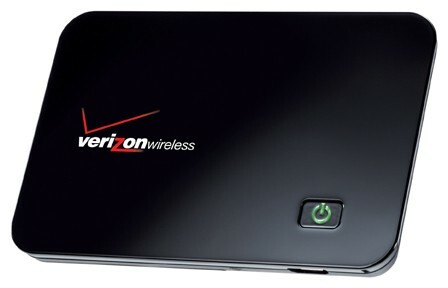 It’s a Verizon Mifi 2200 portable EV-DO router. Just fire it up and 5 devices can connect wirelessly to Verizon’s EV-DO broadband network. I used it at home tonight with my EEE-PC to watch the Red Sox game on MLB.com. The game streamed fine. Once you set up the intial connection via USB, all subsequent connections are via wifi. As this device is usually right near the laptop, the laptop connects to it automatically. I just open up the EEE-PC and it’s already connected to the Mifi and out to the internet. This thing is about the size of a credit card and about 4 or 5 credit cards thick. It has a 4-hour battery life and can be plugged in and charged either to a wall socket or via USB to a laptop. Wireless access to it is controlled via WPA, with the WPA code stamped on the bottom of the router. Monthly fee for unlimited (really 5GB) data is $60. You can also buy lesser data accounts or a 24-hour for $15 option. It’s made for traveling and it eliminates the danger of snapping off a wifi PCMCIA card or USB dongle from your laptop. This is perfect for the family on vacation. Everyone gets to surf. My Wife, The Organizer – We’re at the third Historical Novel Society conference in Schaumburg, IL. Sarah is the key organizer and driving force behind these conferences and this one is going off quite well. Dad – Stronger every day. Should be home soon..
Red Sox – Swept the Yankmees and won a marathon game tonight. School is done for the summer – I took an online course which is now over. Now I get to enjoy my nights and weekends for a while. All in all, a good week. I put some birdseed out this afternoon and got an unexpected visit. We’ve been in London, Ontario over the weekend for a wedding. We drove back today and crossed into the US through Port Huron, MI. As we drove up to the checkpoint, I rolled down the window and handed the customs guy our passports. He asked where we lived and where we’ve been, and then scanned the passports. As soon as he scanned my passport, alarms went off and a half-dozen customs officers surrounded my car. They made me shut off the car and get out, then raise my hands and walk backwards until I was behind the car. Then I had to put my hands behind my back and lean forward. They cuffed me and hauled me off to a detention cell. Then they did the same thing to Sarah. Once inside they asked me a few questions about where I lived and what my SSN was. After a few minutes they uncuffed me and let me out of the cell. Sarah was already uncuffed by then. Apparently they had an APB on a guy using my exact name with the exact same date of birth. He’s considered armed and dangerous, so they weren’t taking any chances. I think his description must be very different than mine, because the customs guy in the booth seemed to know right away I wasn’t their man, but because two items matched (name and DOB) they had to take me in until they were sure. Quite the experience, though. I wonder what all the people in line behind us thought when they saw us both being hauled off in cuffs. Air France flight 447 – What a shame. Hope they find out what went wrong. Dad – Still in rehab, but doing fine. Red Sox – They desperately need a shortstop. And, sad to say, a DH. Verizon 3G data network – Sarah was able to surf and do email almost all the way from home to Ann Arbor. The Asus EEE-PC is perfect for this sort of thing. Dumb speed limits – This is the highway from Detroit to London, Ontario. Wide open, brand new, three lane highway with a 100 KPH (63 MPH) speed limit. Talk about a boring ride. You are currently browsing the weblog archives for June, 2009.